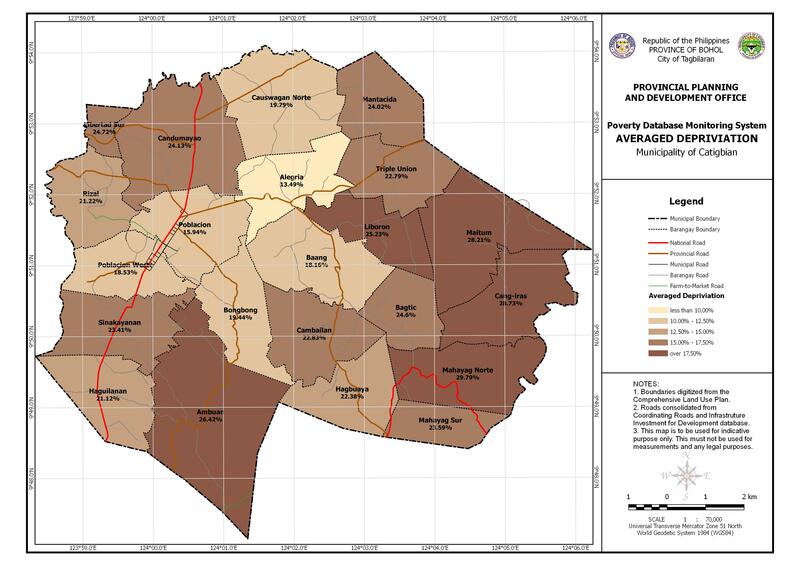 The PDMS – Averaged Deprivation Map of the Municipality of Catigbian shows the percentile average of 12 indicators per barangay in color gradient based on the Poverty Database and Monitoring System (PDMS). 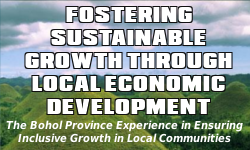 The poverty indicators considered herein are as follows: Child Malnutrition, Child Mortality, Crime, Food Threshold, Housing, Income Threshold, Meals Threshold, Sanitation, School Dropouts, Tenure Status, Unemployment, and, Water. These data was gathered through a household-based survey in 2004.